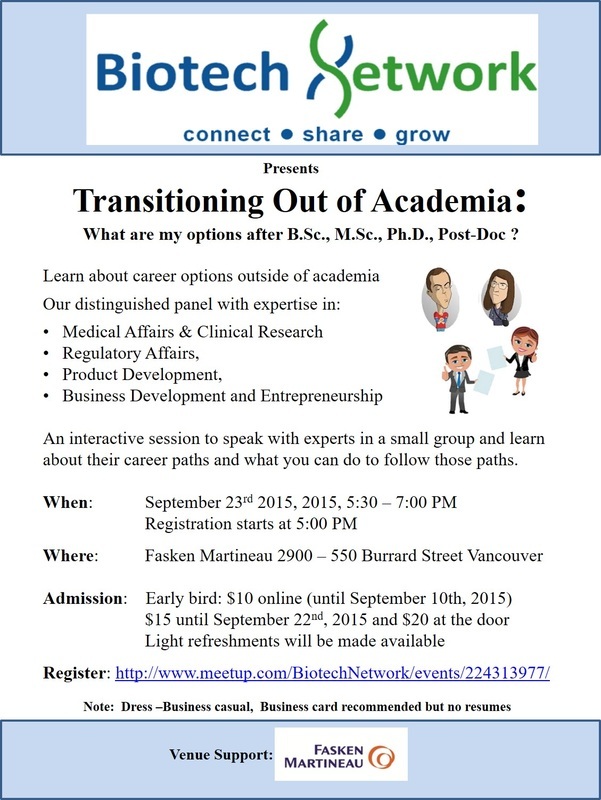 Biotech Network invited you to a discussion on Career Insights in Healthcare Services. We welcomed professionals with a successful career working in public and private organizations in healthcare services, administration, management and consulting to share their experiences and skills need for a successful career in the healthcare. It was a great opportunity to learn about their organization and how to get on their team! Are you wondering about what else you can do with a M.Sc. or Ph.D.? Considering your next career move? What does Clinical Research entail? What are the responsibilities of MSL? How do I get started in those fields? Biotech Network hosted a Career Insights event highlighting fields such as Medical Science Liaison, Clinical Research Associate and Clinical Operations. We were pleased to welcome a panel of distinguished speakers from Boehringer Ingelheim, Vancouver General Hospital, Cato Research Canada, Aquinox Pharmaceuticals and Roche Canada. 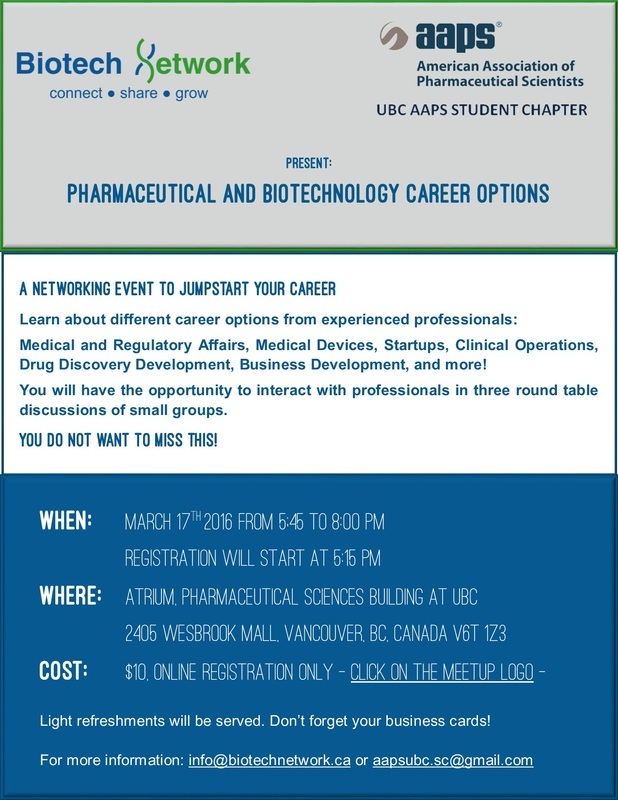 It was an interactive event where attendees could learn about career choices, ask questions about local and national Pharma scene and networking opportunities.